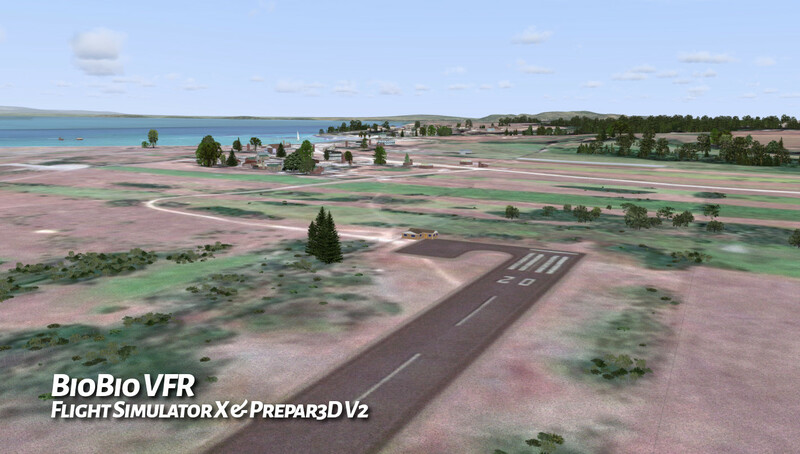 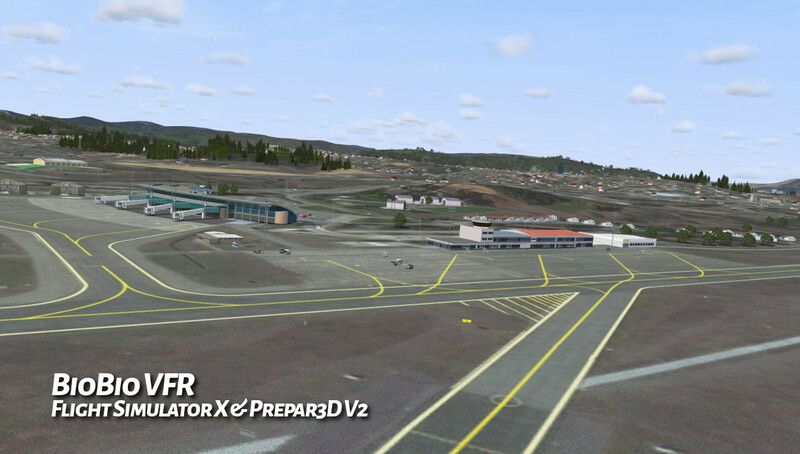 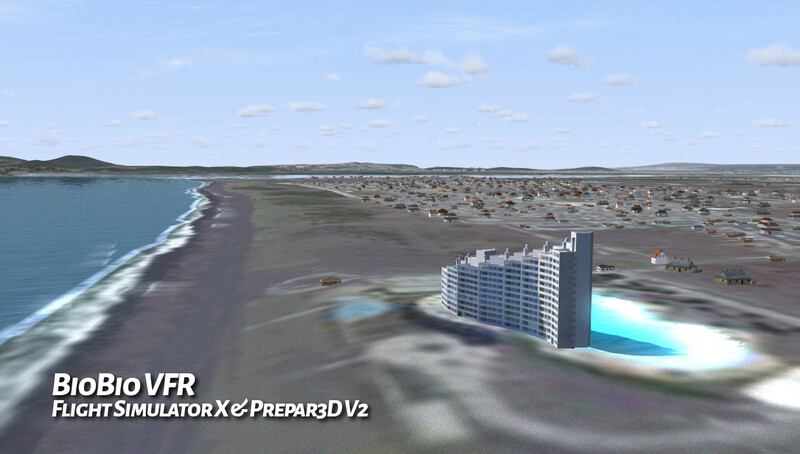 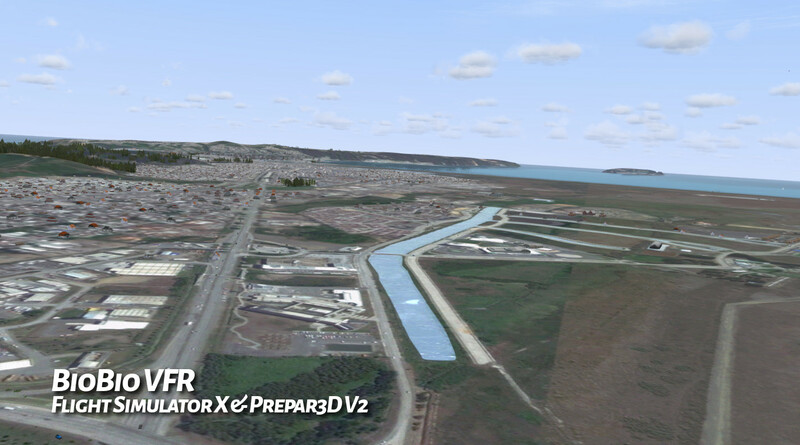 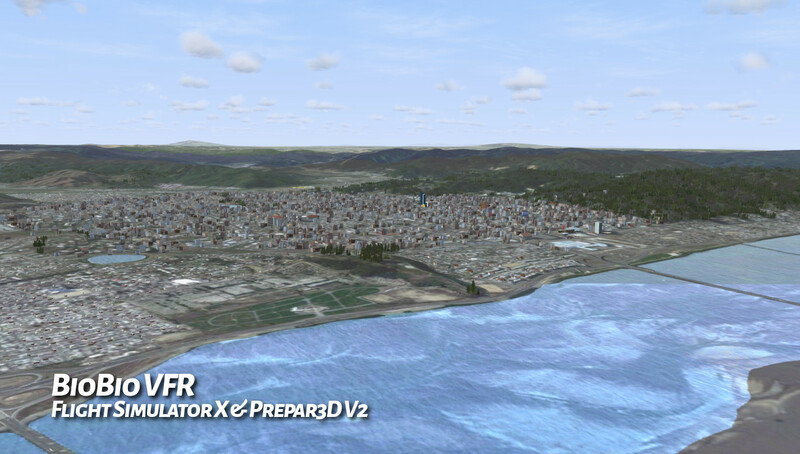 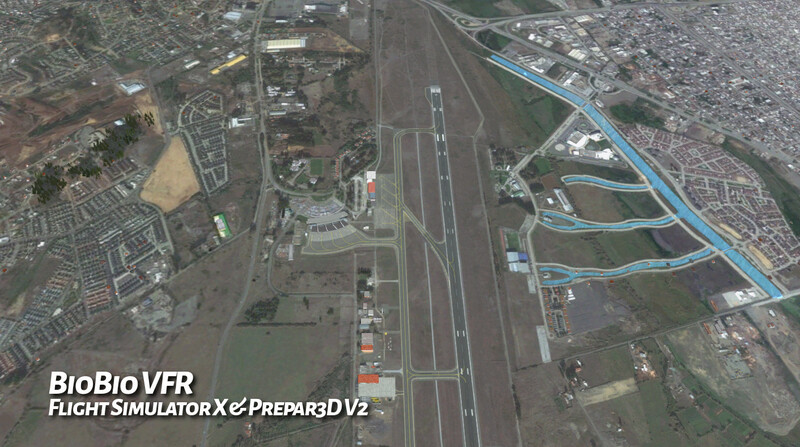 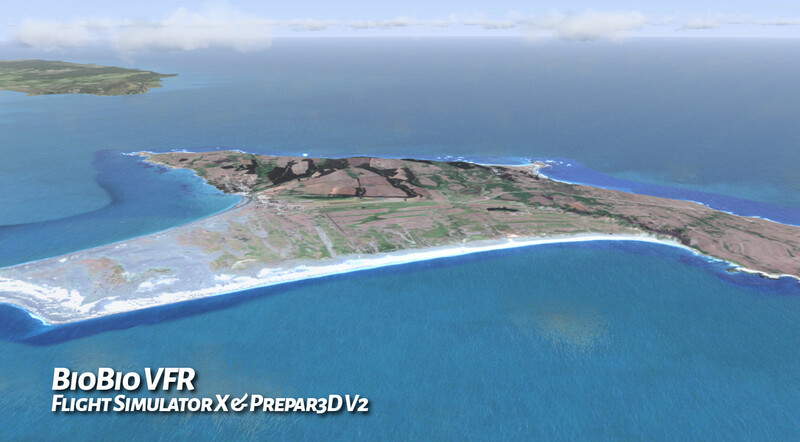 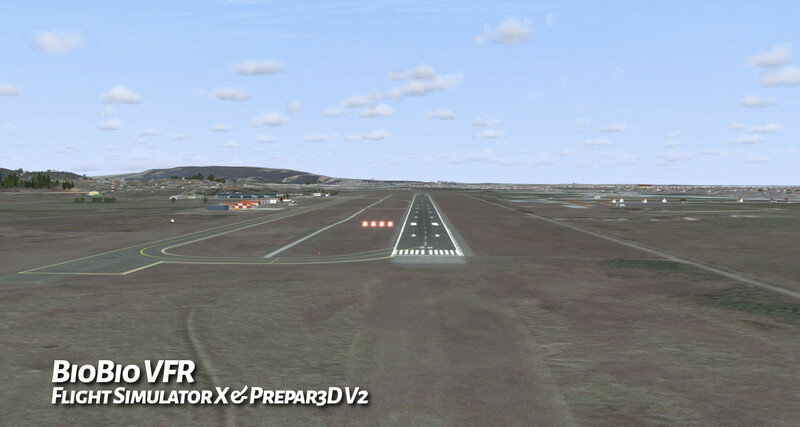 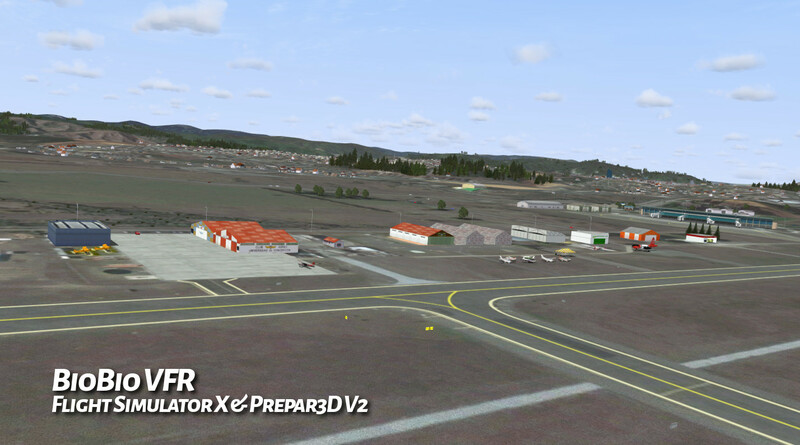 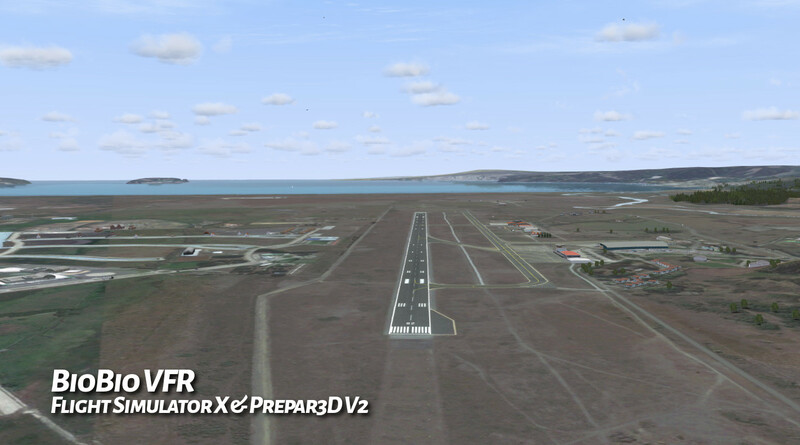 We present this fantastic and detailed scenery, created especially for visual flight rules (VFR), of the metropolitan area of Concepcion, Chile and includes the island of Santa Maria and its airfield which was not included by default in FSX and P3D. 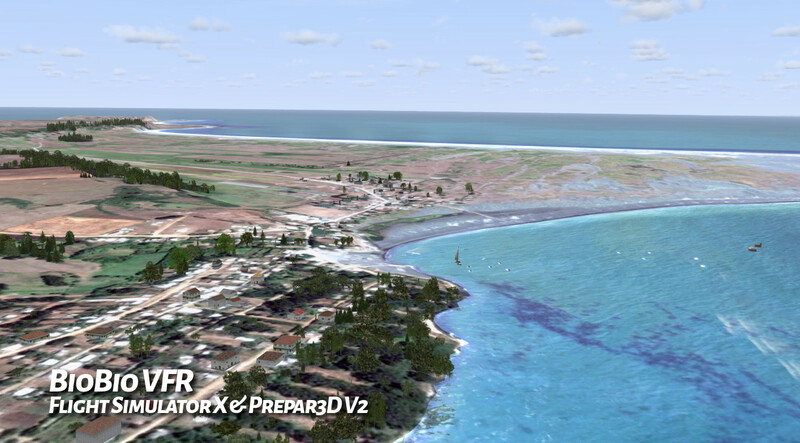 • Isla Santa Maria with its runway, streets, forests, houses and fishing boats. 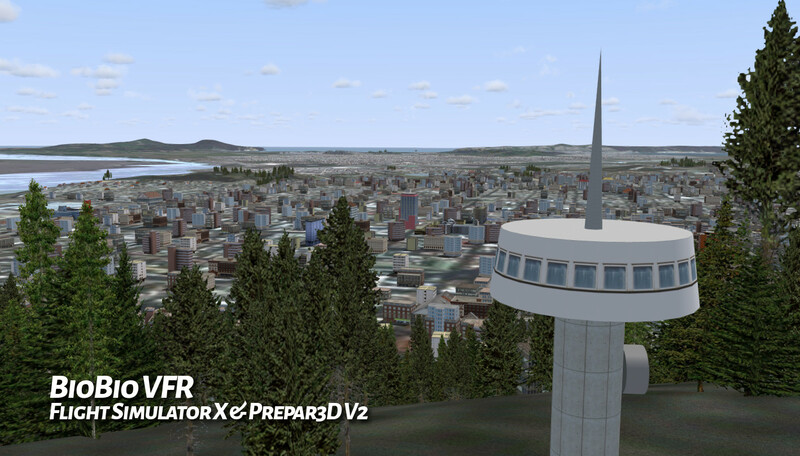 • Autogen buildings and vegetation specially created and manually placed in the right places.Designed so that is friendly in terms of frame rate performance on lesser powerful machines, but very detailed on top of the line PCs. 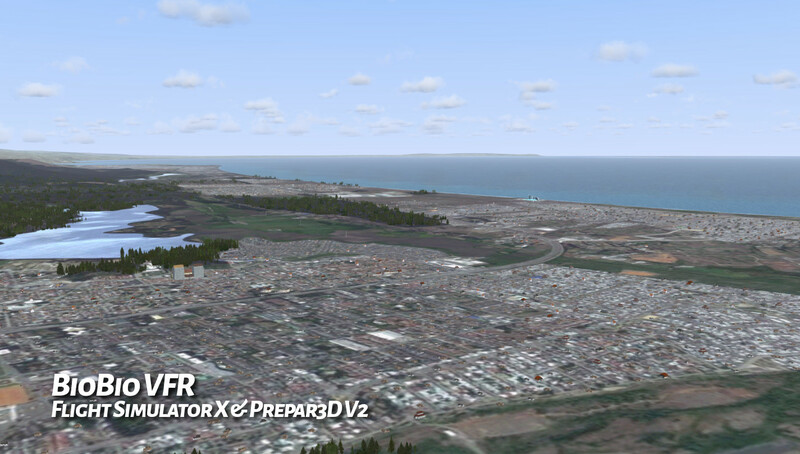 • Includes most notorious buildings from Concepcion down town, San pedro, andalue, Escuadron and Talcahuano. 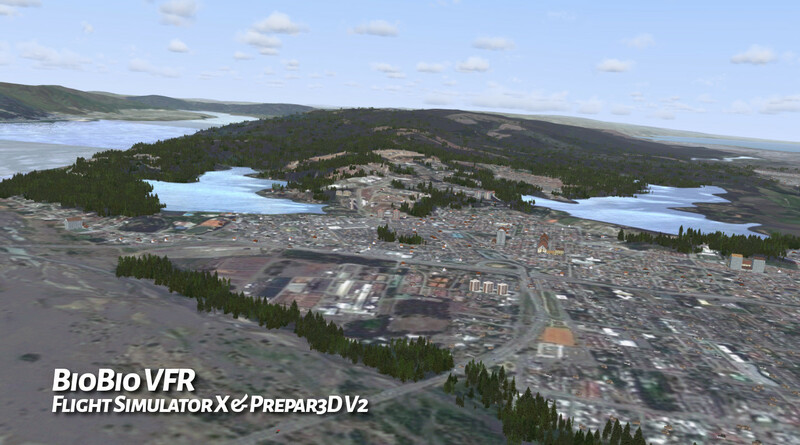 • Rivers, lakes and forests as real as pobible. 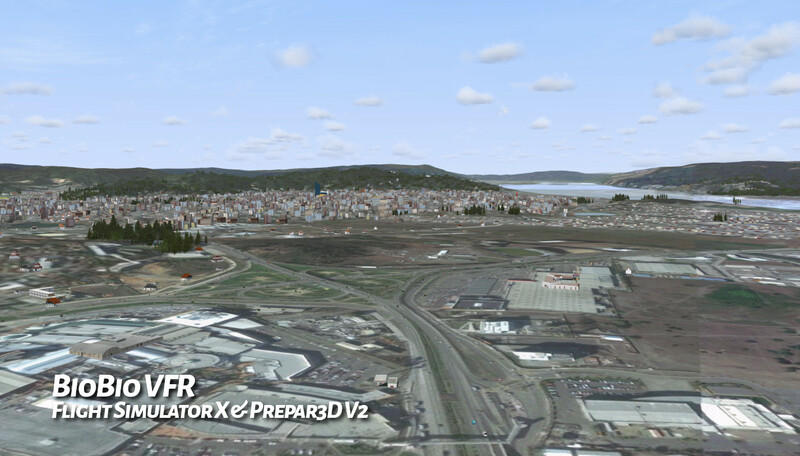 • Major streets, highways and avenues illuminated by utilizing 3D lights. 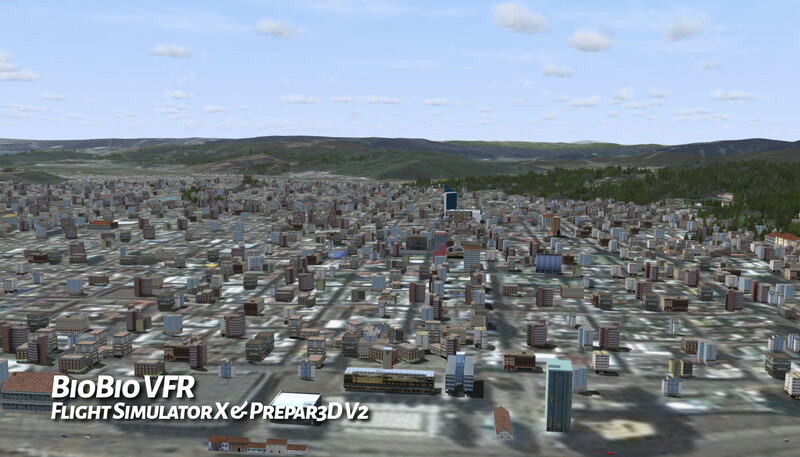 • Realistic vehicle traffic on major streets, avenues and highways. 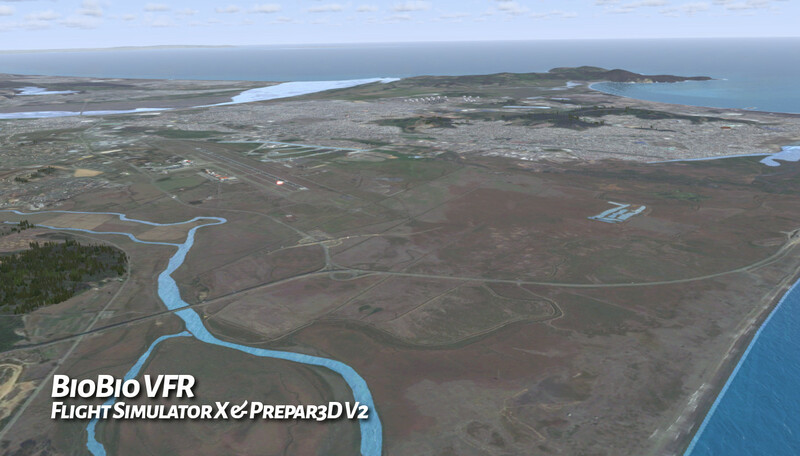 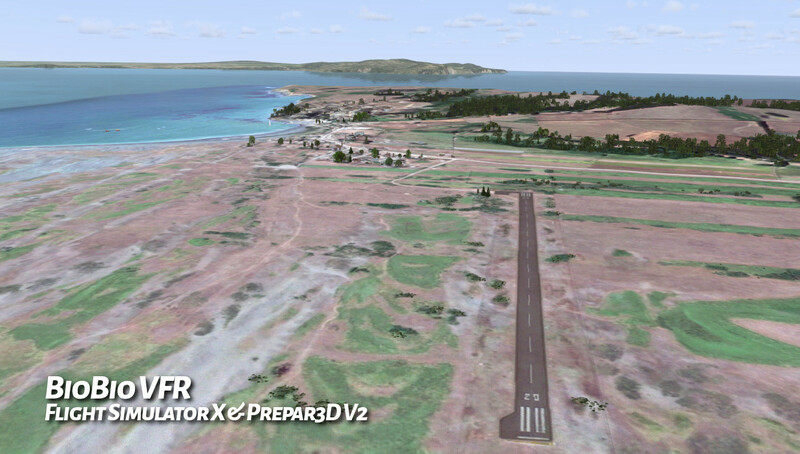 • DX10 Fix for FSX compatible.